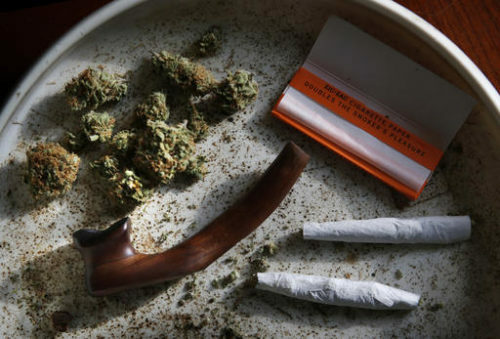 PORTLAND, Maine (AP) — It’s a green Monday in Maine. The first tangible results of state voters’ decision to legalize marijuana are being felt as possession and home growth of marijuana becomes legal. Voters narrowly passed the ballot question in November, and the waiting period between the vote and legalization has expired. But it’s legal to smoke it as of Monday. It’s also legal to gift it, grow it and possess up to 2.5 ounces of it. But LePage at first declined to sign off on such a delay because of concerns he has about funding and oversight. He ended up signing it on Jan. 27. LePage’s signing of the bill also closed a loophole that could have allowed Mainers under 21 to possess pot. Cities and towns have also considered moratoriums on the establishment of marijuana businesses, and some have already approved such temporary bans. Many local officials have said they don’t want to get into the business of issuing marijuana licenses until the state rules are firmly in place. Scott Gagnon, chairman of Mainers Protecting Our Youth and Communities, has said that legalization will bring a “huge cultural change for Maine” and that cities and towns are right to be cautious about whether they will allow sales within their borders.